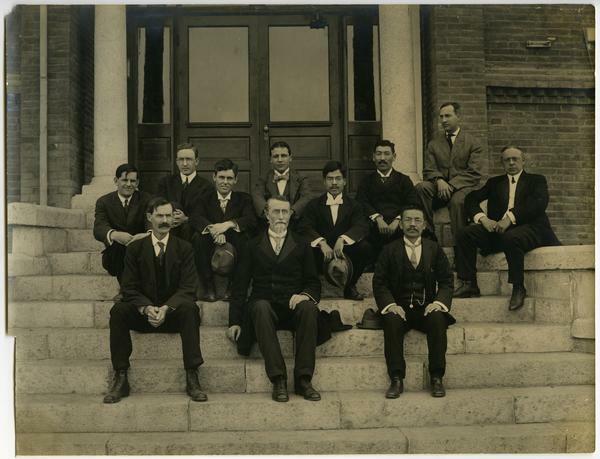 First All-Korea Presbytery meeting, 1907, via Pearl. The 2018 Winter Olympics kicked off last week in Pyeongchang, South Korea. PHS is celebrating the Games by sharing some of our Korea-related resources. In 2017, the Presbyterian Church of Korea celebrated the 110th Anniversary of their first Presbytery meeting. 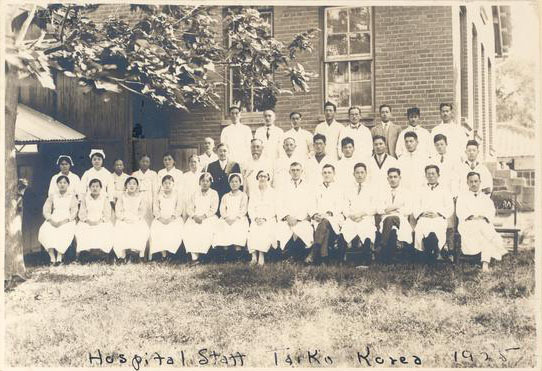 Missionaries from the Presbyterian Church in the U.S.A., including several physicians, were welcomed to Korea in the 1880s. These PCUSA missionaries remained under the auspices of the Board of Foreign Missions until the formation of the United Presbyterian Church in the U.S.A. Commission on Ecumenical Mission and Relations in 1958. 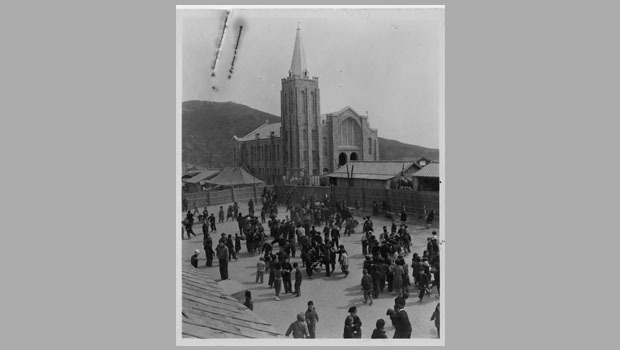 Missionaries from the Presbyterian Church in the U.S. began arriving in Korea in the 1890s. Documents from the United Presbyterian Church in the U.S.A. Commission on Ecumenical Mission and Relations Secretaries' Files: Korea Mission can be viewed at PHS or on Pearl, the Presbyterian Historical Society’s online archives. PHS recently digitized and added to Pearl four special collections related to Korean Missions, including the Adams Family Papers, William M. Baird Papers, Annie Laurie Baird Papers, and Baird Family Papers. The Adams family served as missionaries in Korea for two generations. Visit Pearl to experience their time in Taiku (Taegu) Korea through family photographs, negatives, and documents. Rev. Dr. William M. Baird and his wife, Annie Laurie Adams Baird, were appointed to the Chosen (Korea) Mission in 1890 by the Board of Foreign Missions. From 1891 until 1897, the Bairds served at the Seoul, Fusan, and Taiku stations. While in Korea, William Baird was president of Pyengyang Academy and Union Christian College and Annie Laurie Adams Baird conducted the first woman’s Bible training class in Pyengyang. Both William and Annie documented their time in the country through photographs, correspondence, and documents. View records from the William M. Baird Papers and the Annie Laurie Adams Baird Papers in Pearl. The Bairds' legacy of mission in Korea continued through their sons William Martyn Baird, Jr., and Richard Hamilton Baird. 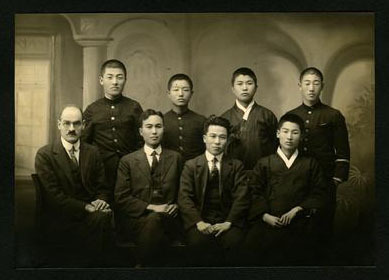 Born in Korea, the Baird brothers grew up to serve as missionaries: William from 1923 to 1940 and Richard from 1923 to 1961. Interested in learning more about Presbyterianism and Korea? Explore our collections, search our online catalog CALVIN, and contact our reference staff with any questions. Also, see Nancy Taylor's article in the Presbyterian Outlook about Presbyterian mission to Korea and collection items at PHS, and read the Spring/Summer 2015 issue of The Journal of Presbyterian History, which focuses on Korea mission work and Korean American congregations in the United States.